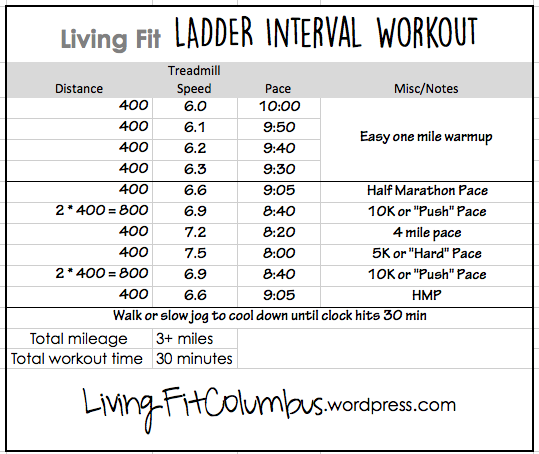 For yesterday’s speed session, I did a “ladder” interval workout. My brother, a former Track & Field sprinter and state qualifier (yes, I’m bragging, but I’m a proud big sister!) once told me that ladders were one of the best speed workouts for getting faster. 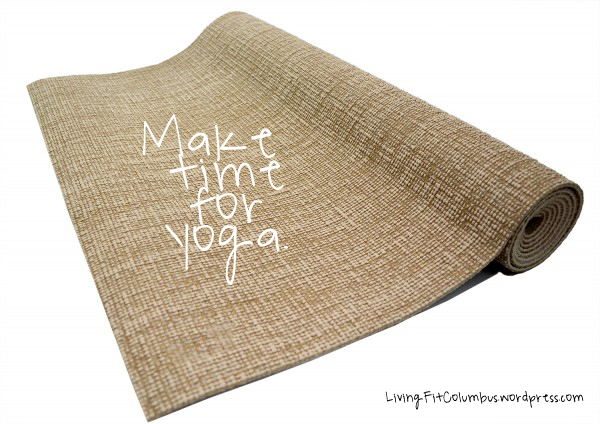 They are also a nice change to your regular routine! I did this at 5AM, so I needed a slower paced warmup to wake up my body. Feel free to adjust to your own level, but make sure you warmup for 10-15 minutes at a comfortable, easy pace. Following the warmup, the ladder begins! It can be any time or distance you’d like, depending on how much time you have (I was limited) or what distance you’re training for. 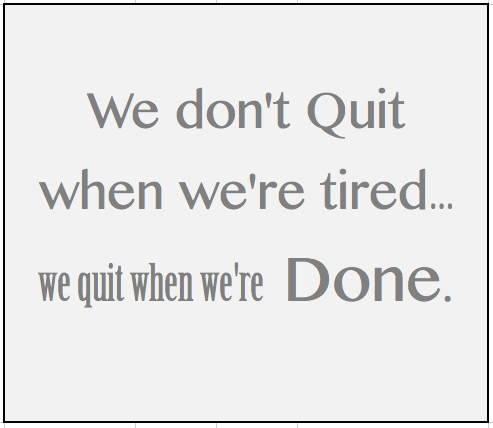 A good goal would be 20-30 minutes or 2-3 miles. Conclude with a short cool down and stretch. Below is what my exact run looked like, feel free to modify! I did not rest at all between intervals due to my time constraint ~ plus once my body warmed up, I was feeling good! Take rest breaks or recovery laps as needed, you know your body best. One advantage of rest/recovery is that your intervals will likely be stronger. Each week/time I try it, I will likely increase the speed and/or duration to gradually challenge myself and add rest as needed. For more info and details on ladder workouts, check out this article, How Running Ladders Work. Try to make sure you are getting in at least one speed, interval and/or hill session per week and one tempo session per week. Run fast & stay fit!